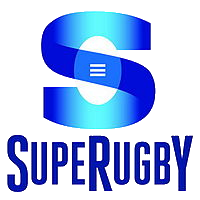 Super Rugby (shown in the logo as "SupeRugby", also colloquially referred to as "Super 15") is the largest and pre-eminent professional Rugby union competition in the Southern Hemisphere. After starting as the Super 10, then Super 12 and later growing into the Super 14 competition, it then expanded to 15 teams for the 2011 season and has been rebranded as Super Rugby, with no number included. It consists of teams from Australia, New Zealand and South Africa. The competition was started in 1996, and from the first season through to 2005, the competition was known as Super 12; the name was changed to Super 14 following the addition of two teams for the 2006 season. In 2011, the competition expanded to 15 teams, and the name was changed to 'Super Rugby'. Matches are now broadcast in 41 countries. Prior to 2011, Super Rugby was a round-robin competition where each team plays with every other team once; a team has six or seven home games, and six or seven away games each. The winner gets four competition points, and if it is a draw two points are awarded to each team. Super Rugby uses the Rugby union bonus points system, where scoring four or more tries or losing by less than seven points results in an extra competition point. The top four teams at the end of the round-robin phase then play semifinals - the first placed team hosts the fourth placed team, and the second placed team hosts the third placed team. The two winners then play the final at the home ground of the top surviving seed. There were 91 regular season games in total. Games are held over 14 weekends with each team receiving one bye. In 2011 the format will change, with each country forming their own conferences. Each team within the conference will play each other home and away. They will also play four out of five teams from the other pools once. The Super Rugby finals will feature six teams, the top teams in each conference plus the three next teams with the highest total number of points. The top two ranked teams will receive a bye at the start of the playoffs.